In 1925 SCADTA conducted a survey flight to Central America using the Dornier Wals Atlantico and Pacifico. Intermediate flights are the scarcest. 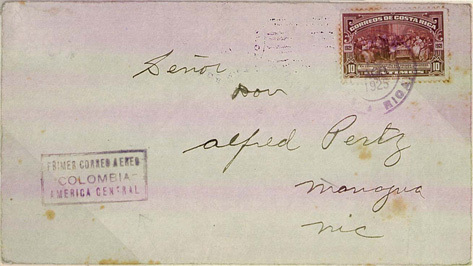 This cover was sent from Puerto Limon, Costa Rica August 17 to Managua, Nicaragua.